I felt called to teach in an Episcopal school when I was serving as the associate rector at a parish in Baltimore. In the midst of my ministry at St. David’s in the Roland Park neighborhood of Maryland’s largest city, I was discerning where my next call would take me. Of course, I thought I would find God leading me to another parish in the diocese. However, what caught my attention, and drew me toward what seemed like an exciting challenge, was an opening at St. Stephen’s and St. Agnes School in Alexandria. The year was 2004 and the positon was for Associate Chaplain. I was immediately intrigued by the possibility of having a ministerial presence in a school community and living into my priestly ministry in an academic setting. I was invited to visit the school, where I interviewed for the position, spending the day with many dedicated and talented teachers and administrators. Together, they painted a positive picture of both the school community and the important role of the chaplain’s duties of strengthening the spiritual life of the institution. I could envision myself as the resident guardian, steward, and advocate of their Episcopal identity. As I have come to learn and accept in my priestly vocation, God does not always call us to the places where we think we should be called, which was the outcome of my day of interviews in Alexandria. However, I was not to be discouraged, by any means. Schools were still a possibility for me as I continued to search for that clarity of direction that would eventually lead me to where I have been serving for nearly twelve years, and for over 60% of my time in ordained ministry. 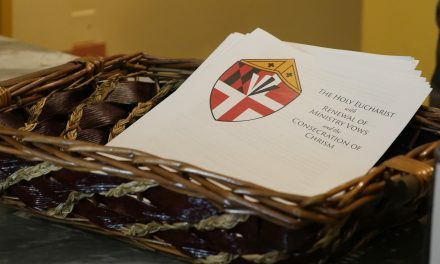 Along the way I first found myself offering to lead chapel services at St. Timothy’s, a school of the Diocese of Maryland, while they were without a chaplain for a large portion of an academic year. I realized then how much I enjoyed the academic chapel setting, the importance that time together brings to the community, and how much my call to ministry in a school was only growing stronger. 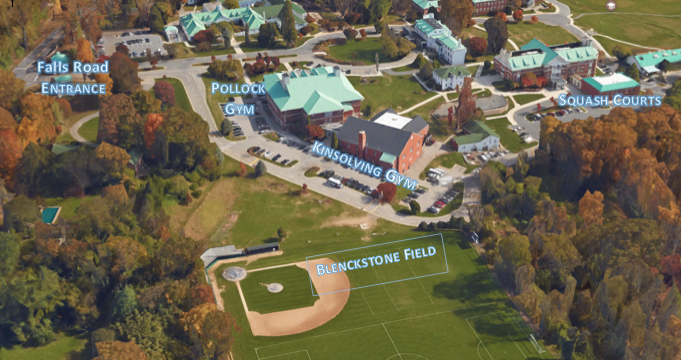 During the summer of 2007, while serving the coastal community of a summer chapel in Maine, I received an email from the then Assistant Headmaster of St. Paul’s School in Brooklandville, Maryland. St. Paul’s was already on my radar as a place to which I thought I may be called to serve. The school has existed since 1849 when it was founded at Old St. Paul’s Church. 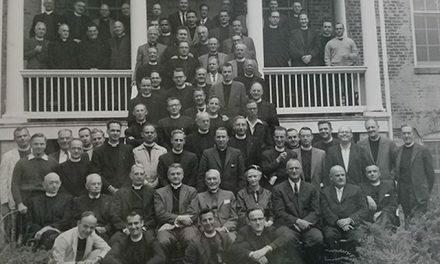 The congregation affectionately known as Baltimore’s Mother Parish established the school in order to provide an education for orphaned and indigent boys in Baltimore who, otherwise, may have ended up living on the streets. Although the mission and focus of the school changed over the years, relocating to different campuses and experiencing tremendous growth in various ways, the values of service to others, espoused in 1849, remain to this day. I realized that I was possibly being called to live out my ministry in a school that had a faith component as well as a strong vision of outreach to the community. The opportunity that arose during that summer was for the position of school Chaplain. I would oversee the chapel program, work with the Associate Chaplain, lead services for the lower and middle schools, and teach religion in the middle school. 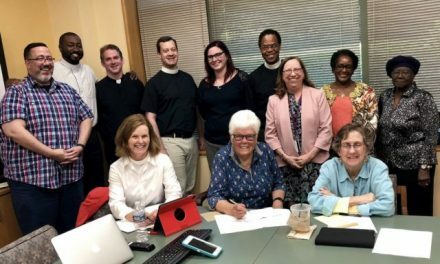 Since I was to finish the final two weeks of the month of July in Maine, I flew to Baltimore for a day of meetings and interviews with faculty and staff at St. Paul’s. Although it was the summer, and school obviously not in session, I still felt a sense of excitement and joy in the people I met. I was able to tell that the enthusiastic energy that I briefly experienced that day would be even more palpable in the community between September and June. After returning to Maine, I was offered the position within one or two days. Both excitement and anxiety were felt regarding the coming changes to my life and ministry that would take me out of the parish church and into the school chapel and classroom. And so, I began my time at SP that August. While my enthusiasm for all things ‘St. Paul’s’ never waned, I would not be truthful if I did not mention that the first year was bit difficult. As I was trying to navigate through the course of school expectations, Episcopal identity, teaching middle school boys, and figuring out what worked and not worked when leading chapel worship, I began to second guess myself. I wondered if my call from God to school ministry was a ‘wrong number.’ Did I make a mistake when I left the comfortable confines of a church community? It was not until the spring of that year that I would perceive the beauty of chaplaincy coming to fruition in my life. I saw how students responded to me, and I to them, both in the classroom and chapel, as well as around the campus grounds. Connections had been made. I then understood my role and myself as a real member of the St. Paul’s community. I was not someone who was simply looking in from the periphery and trying to figure out where I fit in with this very different animal called an Episcopal school. My very first pastoral call was to a grieving 5 th grade boy whose aging Labrador retriever was being euthanized that day due to an unrecoverable illness. He was losing his best friend and I found a new friend and a new home. When I see his parents on rare occasions, they will often mention that time when their son needed someone to talk to, and to be reminded that God would not forget his beloved pet. The connections that form relationships with students, faculty, staff, parents, and alumni are what I see as central to my role as the Chaplain at St. Paul’s School. Many of the students at St. Paul’s have been on the campus since they were toddlers. Quite a few were baptized on the same spot in the chapel where their mom and dad exchanged marriage vows, and on the same piece of land where they spent their childhood and youth. So, for many, the school community of St. Paul’s is also their faith community. Not only is the chapel used for the different special occasions in their lives, but also for times of honor or bereavement. The chapel at St. Paul’s is the place from which many have wanted to be buried. With their names on their class plaque, along the wall overlooking the oxford style seating, these St. Paul’s gentlemen desire a proper send off from the place they have always called home; from the place that educated them, instilled faith in them, and raised them up as part of a great community. The everyday routines and rhythm of the school year are things to which I have grown accustomed. At the same time, I know that the larger picture is about something bigger than the everyday. 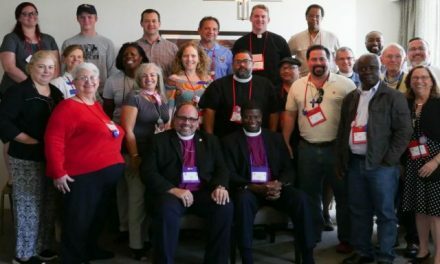 I know that my role as a priest is uniquely lived out on a campus that would not be there were it not for the vision of a congregation of Episcopalians in Baltimore. I know that my call to serve God in this ministry is by building up a community of people from various backgrounds and traditions. If these diverse groups see and know God in the strength of the bonds of relationships that are developed and celebrated in the midst of an inclusive gathering in the St. Paul’s Chapel, perched high atop a hill, I can honestly say I answered God’s call and the number was correct. And I can honestly say that this is why I am proud to teach in an Episcopal school. The Rev. 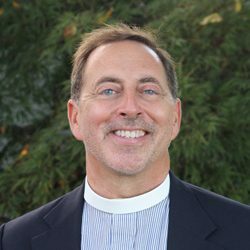 Dan Meck is the chaplain of St. Paul’s School. Learn more about St. Paul’s at stpaulsschool.org. 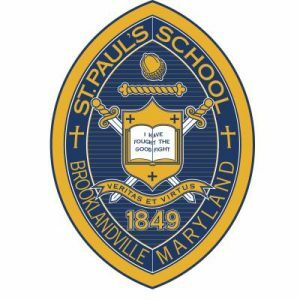 Last fall, the Board of Trustees of St. Paul’s School, St. Paul’s School for Girls, and St. Paul’s Plus—three schools that share one campus on Falls Road in Brooklandville, MD came together to create a single governing body that now works for the benefit of all students. This unification enables The St. Paul’s Schools to make the most of their collective resources as well as their unique approach to gender-based learning. Single-gender education continues in the Middle and Upper Schools (with the opportunity for many shared experiences), alongside co-educational classes in the Preschool and Lower School. With this new unification agreement, students move seamlessly in their education from early childhood through graduation, benefitting all along the way from a challenging and individualized academic curriculum. The St. Paul’s Schools share more than a name and a 135-acre setting. The schools are unified by their Episcopal identity and a mission to help students grow in body, mind, and spirit. Character education and service learning are integral parts of the St. Paul’s experience, as are weekly Chapel services where students have time for reflection and spiritual growth. Through their schooling at St. Paul’s, students develop compassion, courage, and a commitment to positively impact the world. Please spread the word about the exciting new unification of The St. Paul’s Schools. If there are families in your congregation who might be interested in a faith-based setting with coed and single-gender opportunities on one beautiful campus, please encourage them to visit, online at stpaulsschool.org, and in person.